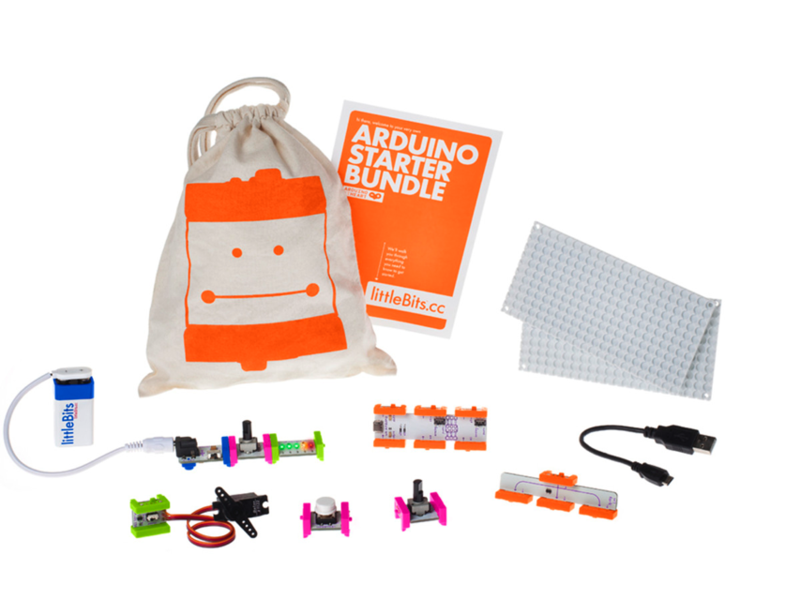 NEW PRODUCTS – LittleBits Arduino Starter Bundle / LittleBits Arduino Module « Adafruit Industries – Makers, hackers, artists, designers and engineers! This Limited Edition littleBits Arduino Starter Bundle takes the littleBits Arduino and eight of littleBits’ favorite prototyping modules. Now you can easily bring programming into your LittleBits circuits project with this solderless, wireless, and breadboard free Arduino. All you have to do is plug it into your computer, snap together the provided littleBits modules, and start programming. It’s perfect for the code lover who’s Tool Kit averse and a great way to start learning Arduino. Code for these projects are created using the Arduino programming environment. It’s also easy to communicate with different software – much like it is with a normal Arduino. Best of all, if you run into trouble you can get support from both the Arduino AND LittleBits community. And, as always, there are comprehensive tutorials in the Adafruit Learn System. Sign up on the product page to be notified when they’re in stock! What do you get when you combine littleBits with an Arduino? That’s easy – a littleBits Arduino! This is just the littleBits Arduino itself and doesn’t include the power module. Now you can easily bring programming into your LittleBits circuits project with this solderless, wireless, and breadboard free Arduino. 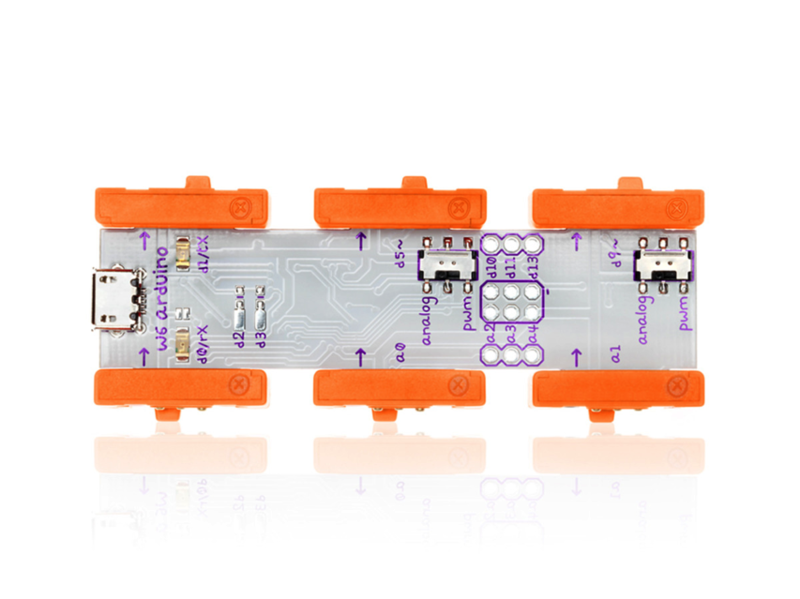 All you have to do is plug it into your computer, snap together the littleBits modules, and start programming. It’s perfect for the code lover who’s Tool Kit averse and a great way to start learning Arduino. littleBits offers up ten sketches like Analog Pong or an Animatronic Hand to get you started. There are also hundreds of other projects on the Arduino Community Library like the easy-to-build littleBits Dice. The littleBits Arduino has three inputs and three outputs as well as additional I/O for advanced hardware interaction. If you’re just getting started with littleBits, it’s best to check out the littleBIts Arduino Starter Bundle.